Sierra Leone footballers have faced the wrath of the Ebola disease at the African Cup qualifying game, as African nations fear the spread of Ebola virus. Players that are based outside Sierra Leone were allowed into Ivory Coast to play in the Africa Cup of Nations qualifying game in Abidjan. The game went smoothly, thanks to the threat of being expelled for the host. The Sierra Leone stars are deeply upset by the attitude of the Ivorians. Governments of many of the African countries want to isolate the worst hit countries of Sierra Leone, Guinea and Liberia, including their sports men and women. Sierra Leone, the home of the Ebola outbreak has announced a four day lockdown. The native of the country will stay inside their homes from September 18 to 21, to prevent the Ebola virus from spreading. The Ebola disease has killed more than 2000 people in the last six months. Police and soldiers have already quarantined towns near the Guniea, the most effect region of Sierra Leone. A total of 20, 000 people will enforce the four day lockdown. The move is an effort to curb the virus from spreading any further. It will also help the medical workers to recognise and separate newer Ebola cases, thus preventing the disease from spreading its wings. Sierra Leone has had approximately 500 deaths since March and according to a World Health Organization warning there could be 20,000 more Ebola cases before the outbreak is curbed. WHO has also announced that the Ebola healthcare workers might get vaccinated by November this year, once the safety tests are completed. 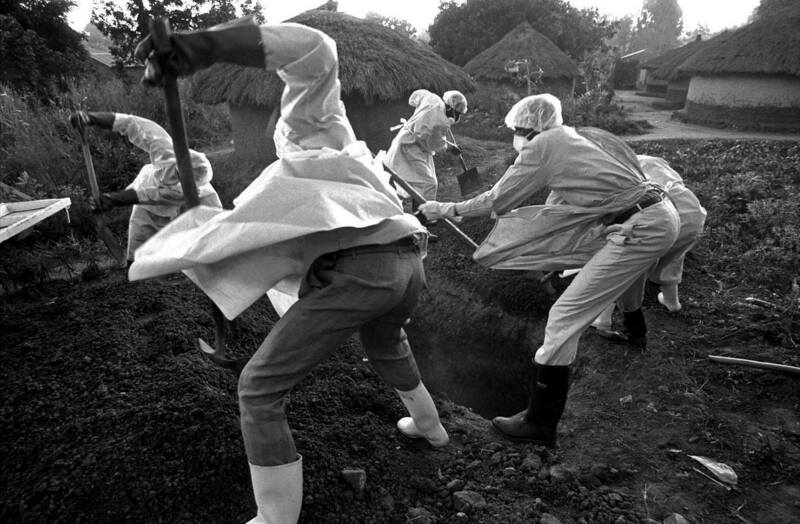 The number of healthcare workers who died of Ebola is more than 20. While more and more cases of medical workers contracting the disease are being reported, the Ebola disease has spread to Port Harcourt in Nigeria. The World Health Organisation and other experts around the world are rushing money and supplies to West Africa.